The Hilliard Davidson High School football team opened OCC-Central Division play by drilling host Westland 64-0 on Friday, Sept. 16. Seven players scored touchdowns for the Wildcats, the No. 1 team in the ThisWeek Super 7 poll who improved to 3-0 overall. The Cougars fell to 1-3. Davidson rushed for 375 yards on 33 carries and completed all three of its pass attempts for 35 yards. Westland finished with 144 yards, 73 rushing and 71 passing. E.J. Jennings opened the scoring with a 34-yard run. Following a safety, Brandon Gleim scored on a 5-yard run as the Wildcats led 16-0 after the first quarter. Alex Mickley opened the second-quarter scoring with a 23-yard run. Chase Delande then returned an interception 40 yards for a touchdown and Tyler Talbott closed the half with a 3-yard run for a 37-0 lead. In the second half, D.D. 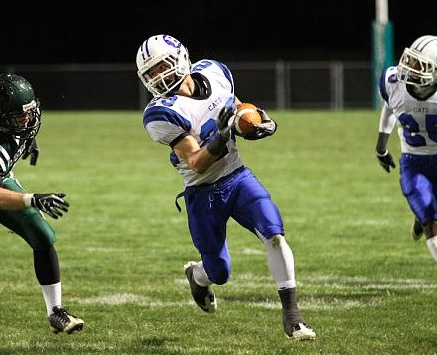 Clark scored on runs of 12, 1 and 55 yards and Nick Iske closed the scoring with a 73-yard run. Jennings finished with 76 yards on seven carries, and Clark had 73 yards on five attempts. 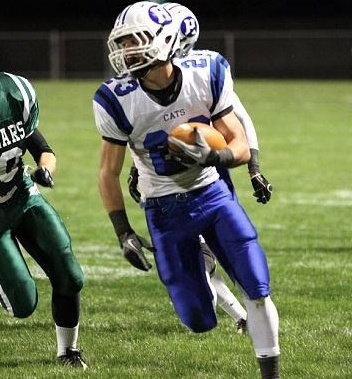 Nick Green led the Cougars with 56 yards rushing on five carries. HD -- EJ Jennings 34-yard run (Chris Martin Kick). HD -- Brandon Gleim 5-yard run (Chris Martin Kick). HD -- Alex Mickley 23-yard run (Chris Martin Kick). 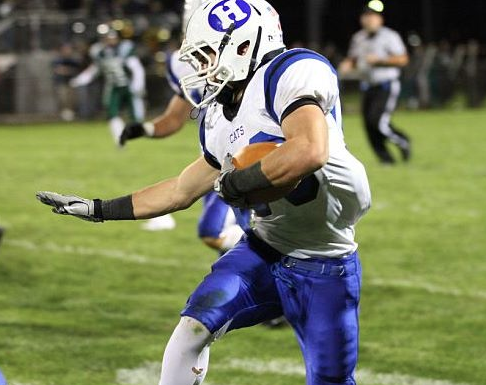 HD -- Chase Delande 40-yard interception return (Chris Martin Kick). HD -- Tyler Talbott 3-yard run (Chris Martin Kick). HD -- D.D. Clark 12-yard run (Chris Martin Kick). HD -- D.D. Clark 1-yard run (Chris Martin Kick). HD -- D.D. Clark 55-yard run (Kick failed). HD -- Nick Iske 73-yard run (Chris Martin Kick).